With recent Bitcoin price increases, many users are looking for a way to make money through Bitcoin. And one of the main methods to do that is through mining Bitcoin. In this article we review and compare top mining hardware along a method to calculate how much profit could be made through using any of these tools. 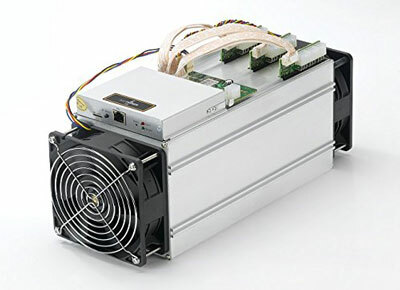 Pricing at a little less than $2,500, Antminer S9 is currently the most powerful Bitcoin miner made by the manufacturer company. According to the maker company, Bitmain Technologies, Bitcoin miners could get the best ROI from this product. Please note that for 12V DC input, 10 6-pin PCI-e connectors are required for an AntMiner S9. For many people spending about $2,500 might be a little too high. So, the predecessor model to S9 which is S7 would be recommended in this case. Please note that, similar to S9, since there is no power supply included with the device, a unit such as Antminer APW3 should be bought separately to use with S7. Similar to S7, there is also S5 and S3 models of Antminer with the main features such as 1155Gh/s @ 0.51W/Gh and 441Gh/s @ 0.77W/Gh relatively which could be checked out at https://www.amazon.com/AntMiner-S5-1155Gh-0-51W-Bitcoin/dp/B00RCTIY4G (Antminer S5) and https://www.amazon.com/AntMiner-S3-441Gh-0-77W-SHA-256/dp/B00NZDBWKG (Antminer S3). This Bitcoin miner is another powerful server by Bitmain with key specs very similar to the top item in our list – Antminer S9. Also, the cost to get T9 differs only little with that of S9 model. And as with other models reviewed earlier, PSU or power supply unit for this server should be purchased separately since there is not one included with the this Bitcoin mining hardware. 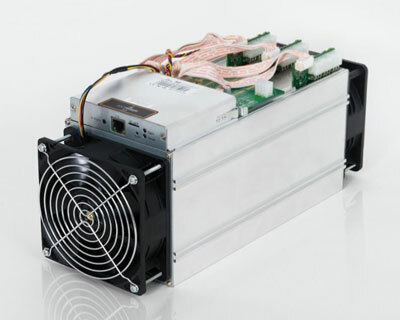 Please see https://www.amazon.com/AntMiner-T9-11-5TH-0-126W-Bitcoin/dp/B01NCX6ZPO for more details and price information about Antminer T9. As stated above in the features section of each hardware, while both T9 and S9 items cost almost the same – at least for the time being –, Antminer S9 is more powerful and more effiecent at the same time compared to Antminer T9. So, we recommend strongly S9 between these two models. As for S9 or T9 comparisons with other lower models such as S7 or S5, we should say that although S7 or lower models’ prices are much lower compared to these two top models but at the same time the given hash rate is very low as well. Read on as we give more details on this in the next part. 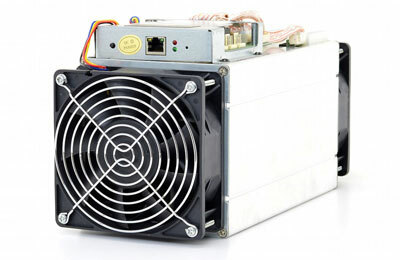 Hash rates and power consumption for these mining hardware are accessible above or on the web. The key thing when shopping for these relatively weaker mining tools is knowing whether one could make a profit using one of these items or not. It’s not possible to say for sure the answer to above question due to different power prices in different parts of the world. But using a useful online Bitcoin mining profit calculator such as https://www.cryptocompare.com/mining/calculator users could enter different variables before buying any mining tool to see if their purchase is profitable or not. So for lower models such as Antminer S5 or S3 we strongly recommend using the above tool to make sure enough Bitcoins could be mined with the server to cover power costs and provide some profit. Along with these BTC miners, Bitmain has also made hardware for mining Litecoin such as Antminer L3+.